In case you hadn’t noticed, the suit trend is finally taking off IRL after years of editors and designers celebrating them on the runways. 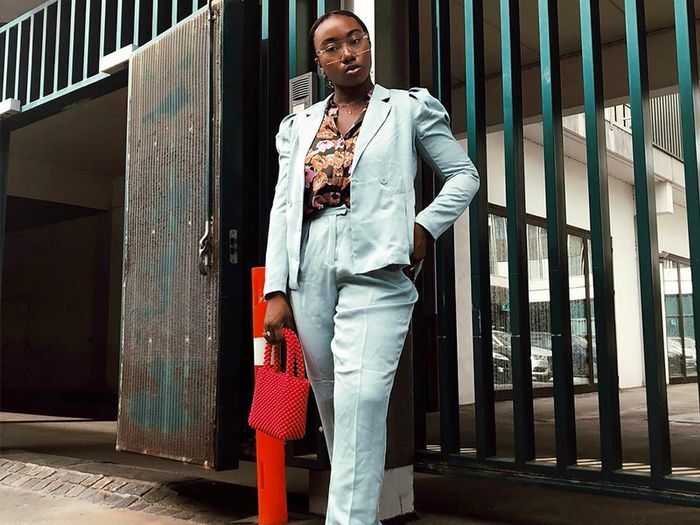 With just one look at Instagram, you’ll spot a number of influencers stepping out in a tailored two-piece. The good news? You don’t need a big budget to get your hands on the good stuff. From fine checks to linen and a standout printed iteration, some of our favourite looks come straight from the high street—think Mango and H&M—meaning you can get in on the trend without blowing your budget. Which style to go for? Last season, we kept it simple and slipped into anything grey, double-breasted and oversized. We’re still backing those key styles, alongside brighter shades and cropped wide-leg trouser shapes. Sound good? 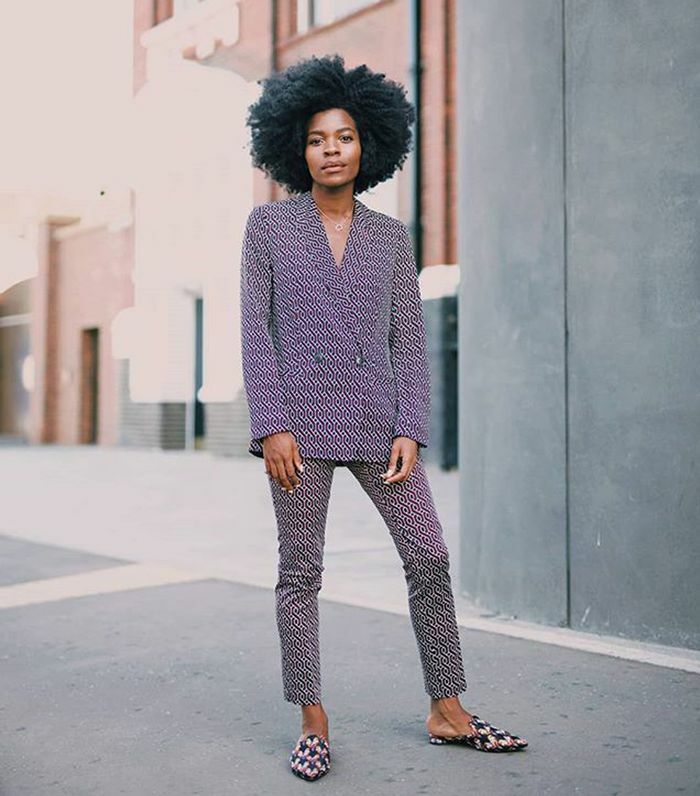 Scroll below to see the chicest women wearing high-street suits right now, then shop your favourites. Style Notes: Looking to make a statement? Try H&M’s printed two-piece, and style yours with slip-on embellished flats. Style Notes: Lilac is still one of the hottest colour trends around, and the easiest (and chicest) way to wear it? In this Mango suit, we reckon. Style Notes: If you’re a big fan of stripes, swap your sensible grey suit for something smart with a fine red stripe, and try Liv Purvis’s ba&sh iteration. Finish with a crew-neck top and kitten heels. Style Notes: Lilac’s not the only pastel that’s trending right now; you could also opt for the equally chic powder-blue shade. Dip your toe into the trend with this shorts iteration. The double-breasted style has a fine check print that’s ideal for work, and even better with flats and a bucket bag on the weekend. Style Notes: If heavy suiting just isn’t your thing, why not consider something linen? Mango’s striped short iteration is lightweight and ideal for day with sandals, and for after-dark dressing, simply slip into a pair of mules and finish with a red lip. Why not snap up a suit on one of our favourite discount shopping sites?